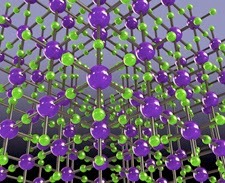 The self-building structures could be incorporated into sensors, solar cells and self-healing materials in the future. A group of “living materials” announced by MIT researchers today can change their own composition over time in ways that could allow them to become part of future electronics designs, thanks to the incorporation of bacterial cells that respond to changes in their environment. The researchers will publish their work in Nature Materials today. The materials are made by E. coli bacteria, which naturally produce thin layers of cells known as biofilm. E. coli biofilms contain fibers that usually help the film grab onto surfaces, but a part of the fibers can also capture non-living molecules and incorporate them into the film. The researchers were able to engineer E. coli with different types of fibers, allowing them to determine what type of non-living molecule the fibers captured. By adding materials like gold nanoparticles or quantum dots, the MIT team could then add different properties to the film. Gold nanoparticles, for example, can be combined to allow the biofilm to conduct electricity. The researchers can combine different molecules to create materials that, say, are conductive and emit light. They were also able to engineer the cells to coordinate; they can produce chemicals that cause other cells to start producing one type of biofilm, for example. The researchers believe their system, which is inspired by natural matrix-like materials like bone, could be used in solar cells, batteries and tissue engineering. It could also aid in the conversion of agricultural waste to biofuel.